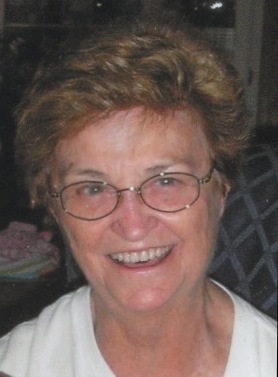 OSWEGO, NY – Shirley M. Crisafulli, 82, a resident of Baylis Street, Oswego, passed away Tuesday January 1, 2013, at home. Born in Oswego, she was the daughter of the late Thomas and Jane (McKaig) Clary. Shirley was a bookkeeper and later worked for Oswego County Social Services. She was a longtime member of Young at Hearts and the Y.M.C.A. She enjoyed traveling and her interest in genealogy took her Ireland multiple times. Shirley was a devoted wife and loving mother, grandmother and great-grandmother. Surviving are two daughters, Roseanne (Tanner) Leto of Oswego and Jody (Mike) Feldman of Northville; six sons, Michael (Patricia) Crisafulli of Oswego, John (Karen) Crisafulli of Oswego and Joseph (Christine) Crisafulli of Oswego, Herb (Maryann) Dixon of Fairhaven, James Crisafulli of Oswego and Scott (Mary Colleen) Crisafulli of Albany; sister-in-law, Mary Ellen Clary; 18 grandchildren; 14 great-grandchildren; several nieces and nephews. Besides her parents, she was predeceased by her first husband, Hubert Dixon (1962); her second husband, Charles Crisafulli (2009); and her brother, Robert D. Clary (1998). Services will be held 10 a.m. Saturday at the Oswego First United Methodist Church. Entombment will be in All-Saints Mausoleum, St. Peter’s Cemetery. Calling hours will be held from 3-6 p.m. Friday at Nelson Funeral Home, 11 W. Albany St., Oswego. Donations can be made to the American Cancer Society or Oswego County Hospice. We are so sorry about Shirley, she was a great lady and was always smiling.